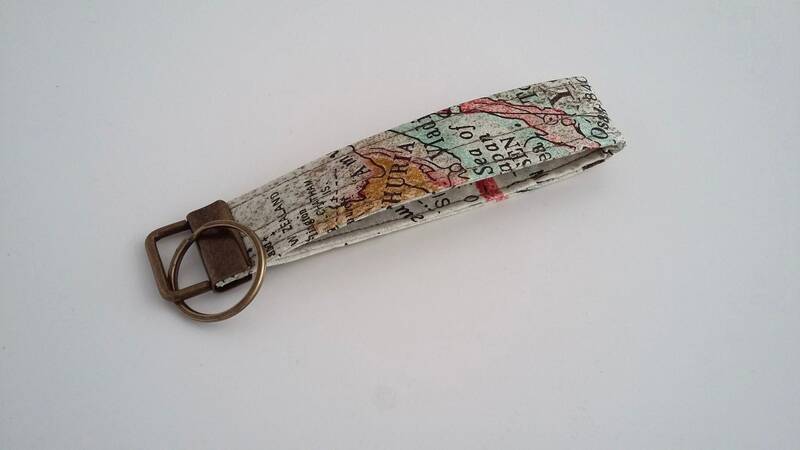 A useful gift, this fabric key fob is in the Vintage Maps print from Tim Holtz. 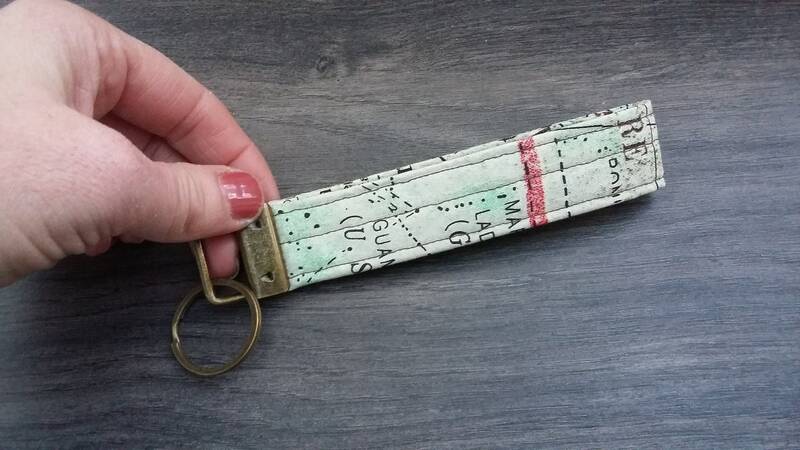 Measures 5" x 1", attached to a bronze key fob with split ring to attach keys. Interfaced for added strength. 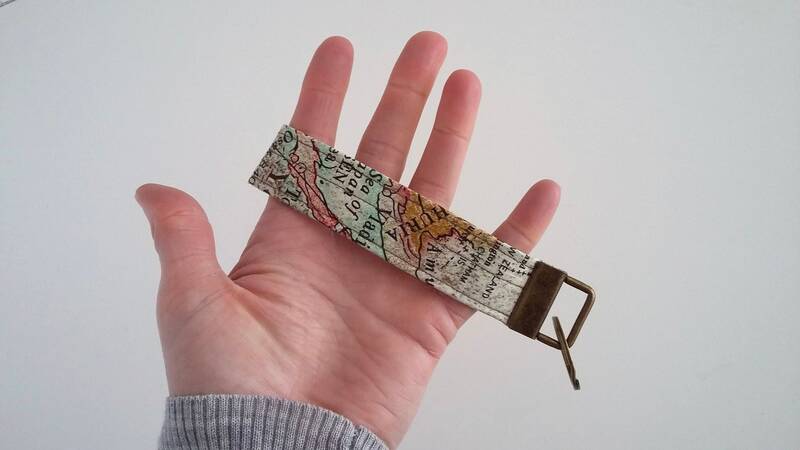 The strap can also be looped onto your wrist. 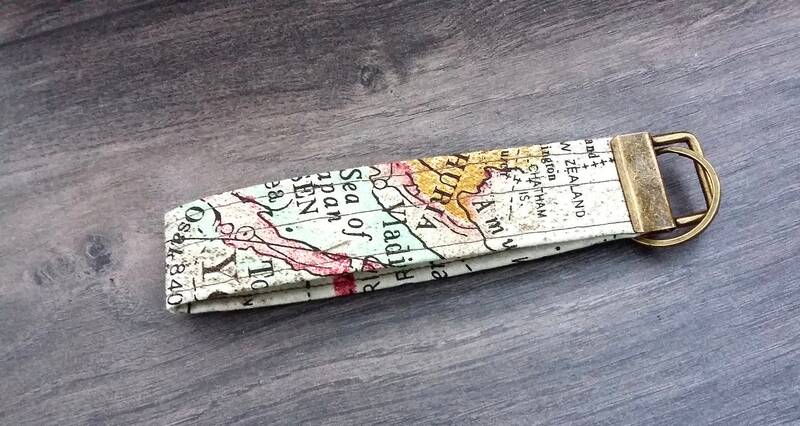 Perfect token gift for the budding traveller, perhaps for the keys to their new home or car. 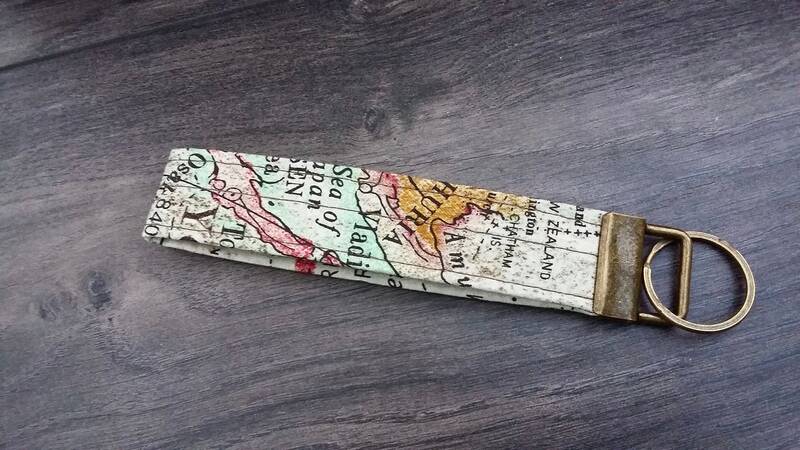 One in stock, ready to ship in 1-2 business days with proof of postage.